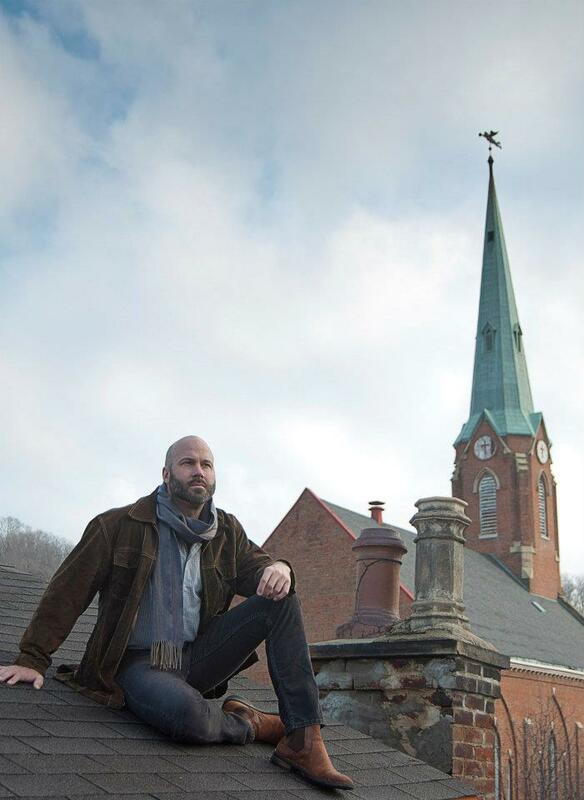 Editor’s note: The following is architect, developer and OTR resident Michael A. Uhlenhake‘s personal history of his past 20 years in Over-the-Rhine. It is an exceptional piece that portrays one man’s intimate interactions with Over-the-Rhine over the course of two consequential decades in Cincinnati history. We publish Mr. Uhlenhake’s story with great pride. All content and photos were created by and used with the express permission of Mr. Uhlenhake. Portrait photographs of Mr. Uhlenhake taken by Christopher Rumer of C Robins Photography. My first experience with OTR was in the mid-80’s. As a dedicated student of Architecture, my life revolved around DAAP (U.C.’s College of Design, Art, Architecture & Planning) & I rarely left my Clifton existence. 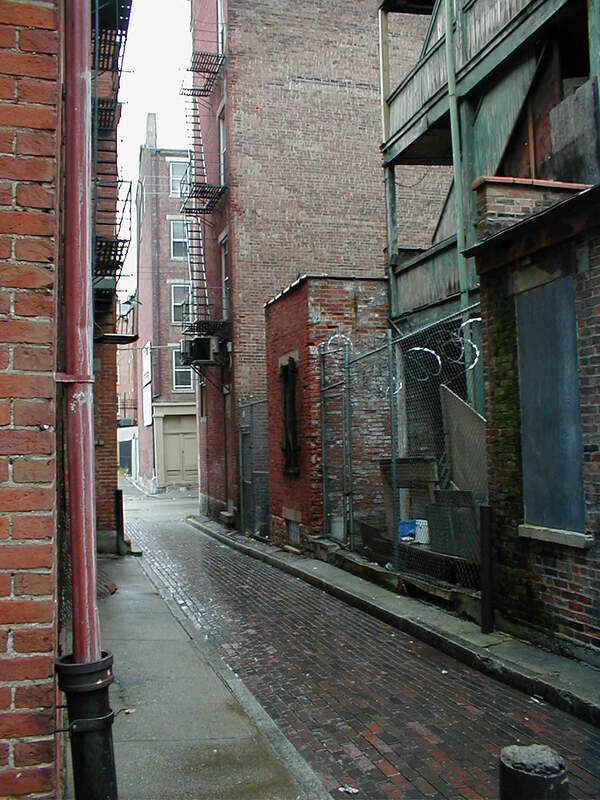 Occasionally, we’d taxi to a downtown back-alley nightclub called “the Metro” via Over-the-Rhine’s dark & litter strewn streets. Daylight, we’d scour hole-in-the-wall vintage shops for cashmere wool trench coats, pre-department-store paisley button-downs & found objects for assemblage’ sculptures. There’d be the occasional underground rager in a former Masonic lodge, later known as “The Warehouse”. The front door was locked, so Claude & I climbed the fire escape to get in. Artists occupied former breweries, whose sub-sub basements we explored en-mass via candlelight. 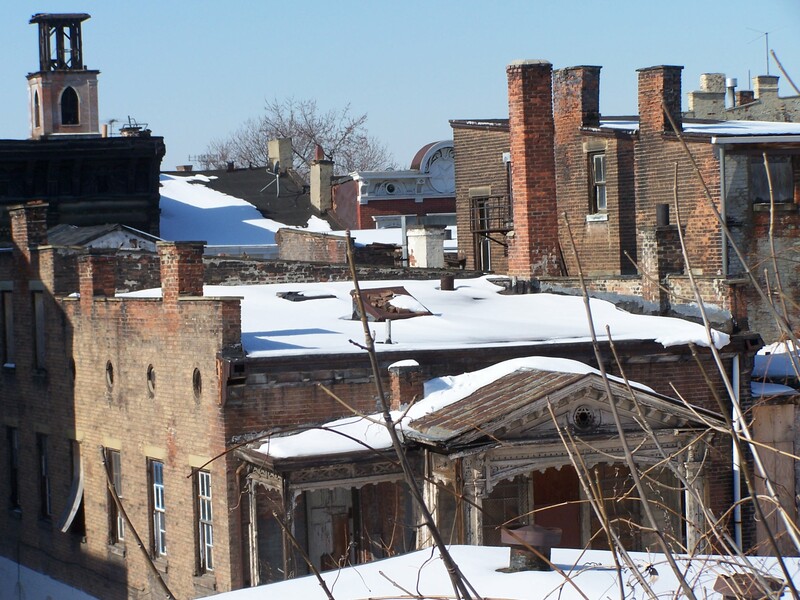 To me, Over-the-Rhine was a giant city in ruin, mysterious & eminently fascinating to explore. T’ward the late 80’s, my friends started drifting to Main Street, occupying run down buildings they fixed up on their own. I hopped on the back of my friend’s motorcycle, to a middle of the ghetto bar called Neon’s, with it’s long shuffleboard table. During this time, I worked at UC’s Community Design Center, as well as Kenneth Cunningham Associates. The deli across McMicken sold $1.50 sandwiches & 4Our2Sons had a Plexiglas cage protecting the owner from ‘bad’ customers. Most of Main Street’s storefronts were boarded up & a few had rain-rotted caved in floors. Most of Main Street’s residents were either low-income families or young artists. 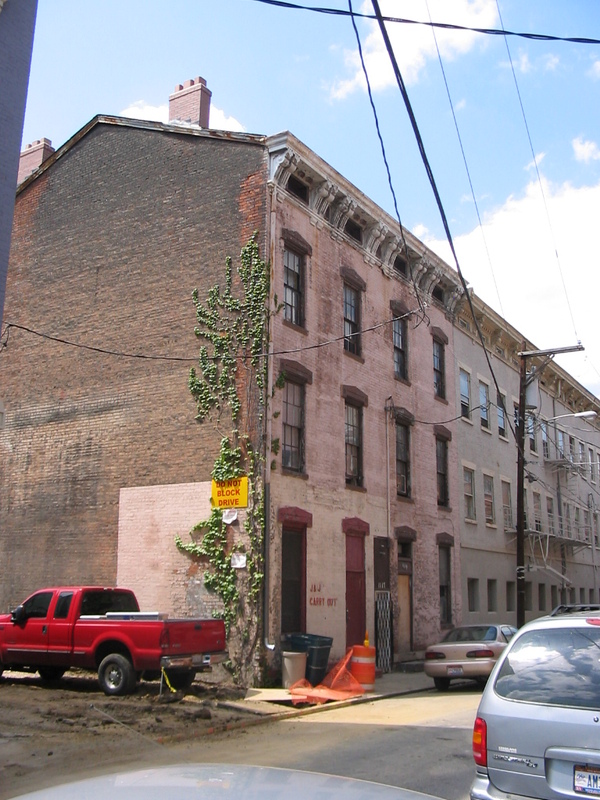 Orchard Street was full of urban stalwarts and older folks from Appalachia (all of which are now gone), including the old lady Marie who lived next to Apostolic Church whose clapping & screaming (eventually via expanded speakers) understandably drove her nuts. In my Ford Ranger pick up truck, I’d drive her to get whisky or White Castles over in Kentucky. The neighborhood had quite a few serious stoop drinkers back then, with faces turned red from cheep booze or 40 ouncers. Upon graduating in the early 90’s, I moved to Czechoslovakia, where I worked at a small architecture atelier. Our projects focused on redesigning/re-inhabiting the city center which had dilapidated during their former government. Private ventures popped up everywhere. I often equate my work in OTR to my experience there. Returning back to Cincinnati, I got my old job back & each day, I’d pass by one particular abandoned building on Orchard Street. I called the owner, Terrie (for whom I later built St. Theresa’s Textile Trove) & negotiated to buy this fire-gutted shell. I was 25 at the time. In that sweltering August, I single-handedly gutted the place, removing its charred floors, joists and the entire roof structure. 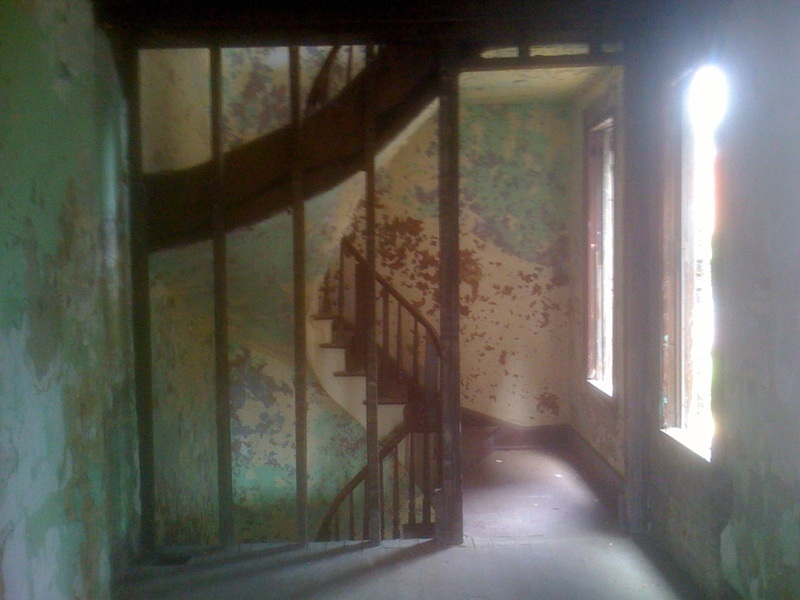 In the evening, I’d wash my soot covered body in the claw foot tub of my Broadway Street apartment whose lengthy stairway I’d ascend in the darkness, my hand following the curves of its wooden banister. That was 20 years ago (sheesh) & at this point I am the longest term resident on my street. During the pre-Entertainment District era, Main Street developed into a lively Bohemian place. Kaldi’s Coffeehouse was full of “people with strong personalities” who collected ‘round the corner of the bar, drinking either Jamison or the house-blend. Red beans and rice was a staple dinner. Katie was chatting with Betsy who was doing crossword puzzles. Alan was sketching for the next painting. Claude was bantering about relevant issues of the day. Flute’s What-Not-Shop gathered informally as Final Fridays started to brew. Art Academy students held wildly fun (some people got naked) rooftop or courtyard parties. One such ended with “the chair burning incident” while we danced like banshees around a beat-up lazy-boy set afire singing “Toyota’s hot hot hot”. The “Gestapo” kept us well hidden beneath piles of clothes throughout the night, while they beat on apartment doors demanding someone take accountability. No one answered. Much of redevelopment occurred on Main Street, whose multi-story buildings were one-by-one renovated by hard-working individuals, who (for the most part) lived upstairs. Main Street (& Orchard too) got a makeover/new streetscape. A community of spirit was growing. All was optimistic. Then appeared an influx of characterless bars – where exposed brick and spiral ductwork were considered de rigueur. Suburbanites flocked into the neighborhood to watch awful mainstream cover bands. Recently divorced 50-somethings revved up Harley’s while smoking cigars and trying to pickup 20-year-old boo-boo-kitties. Drunken yahoos would piss in doorways & get in fights. There existed a few semi-sophisticated establishments, but few have endured. It seemed that the predicable 10-year shelf life of the bar district was waning. The kicker came in with the Riots of 2001. Somehow, I seemed to be one hour behind every significant event that occurred that day. Personally shocked, I cautiously drove up an abandoned Main Street, with every other storefront window smashed. A Big Pig Gig pig lay in the middle of the street & I swerved to miss it. A man with his shirt pulled half up his face raised a brick t’ward my windshield. I hit the gas & sped off. That night I helped Jim Tarbell sweep up glass & board up buildings. People were scarce & there was an air of fear. The next night my neighbor Sam & I listened on his stoop to a play-by-play of events going down just a few blocks over. I stayed clear of Main Street. During the 4 nights of curfew, I boarded up my front windows & stayed across the river in Covington, Kentucky. From a balcony overlooking the city I thought “my city’s on fire”. A dark lull occurred in OTR for a few years following but things were brewing. People were gathering, making incremental steps to improve their outlook. We wanted the world to know that good people still lived in Over-the-Rhine … AND that we actually were enjoying it. 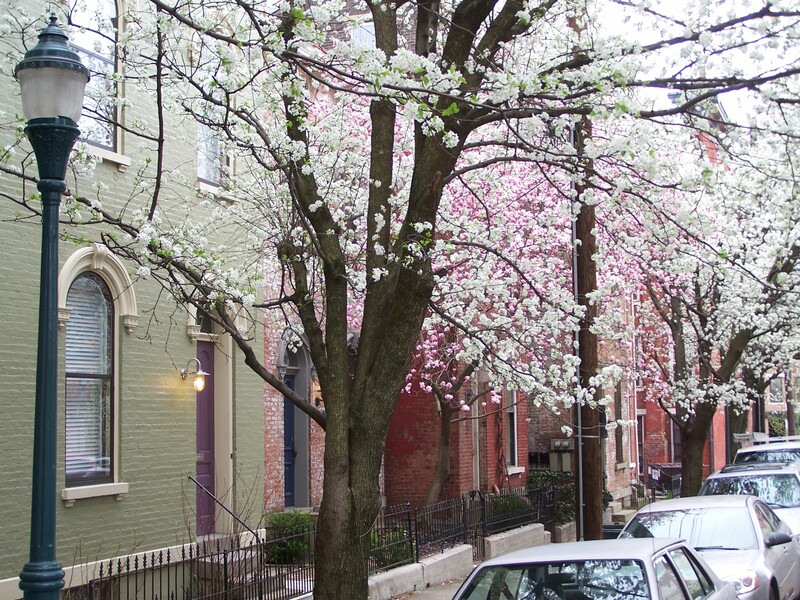 We latched onto the Great American Cleanup Day and invented the Orchard Street Blossom Festival, a celebration of our white-petaled sidewalk trees. Final Friday’s were picking up steam, especially below Old St Mary’s steeple. At the verge of spring, buxom frauleins (and a few men in drag) vied for the enviable Bockfest title “Sausage Queen”. Since then, things in Over-the-Rhine have improved exponentially and steadily. We’ve learned that sometimes things have to get really bad before they get better. In the past 5 years, things have gotten better, and better and better. The condominium wave first began with the building on the corner of Main and Orchard Streets & I couldn’t have been happier. I’ve become close friends with many of its amazing residents. This truly ushered in an era of stability into OTR & has shown an example of possibilities. The condo-owners are valiant supporters of everything OTR. A reinvigorated sense of community resulted. The renovation of Findlay Market (though tough during construction) was unequivocally well worth the effort. Its wildly diverse and specific array of shops & lunch spots are a huge asset to our city & neighborhood. Visitors love it. However, the most promising & impact-full development has occurred on Vine Street. I could never have imagined the quantum leap Over-the-Rhine has taken since 3CDC formed and started focusing in this neighborhood just in the past few years. I’ve always viewed Vine Street as a “hard nut to crack”. Now, I purposefully show it off & I really do love its inventive restaurants, stylish pubs & café’s that hearken to lingering European moments. This development further into the heart of OTR has immense impact, not only in the long term stabilization of OTR but in the overall elevation of our entire city – how we enjoy it & how others see it. The revitalization of Vine Street has tipped the scale – there is no longer any doubt that OTR will manifest into one of the country’s most thriving urban destinations. While a major focus has been on Vine Street as a commercial strip, Main Street hasn’t been left in the dust. Main Street has evolved into a more relaxed blend of boutique-type atelier studios run by enterprising creatives. The monthly Markets on Main has a lovely easy-to-wear charm. Final Fridays continue to highlight OTR’s outstanding & ever-expanding creative energy. It’s a fun vibe & its healthy blend of local bars caters to my individual need for: original live music, clever natural cocktails, 80’s alternative karaoke & early evening courtyard post slow-ride meet-ups. Having a less-condensed/more authentic scattering of bars is a healthier environment to share with those who actually live here. Main Street feels comfortable with itself. It has arrived. Lately, I’ve noticed a huge interest in the heritage of OTR. Weekend tour groups are everywhere. It’s not only a good sign, but good exposure & resultantly, good for business & further development/renovations. Tourists don’t only view OTR as a collection of historical remnants but they also like to see people enjoying themselves & want to delve into that, even for a moment. 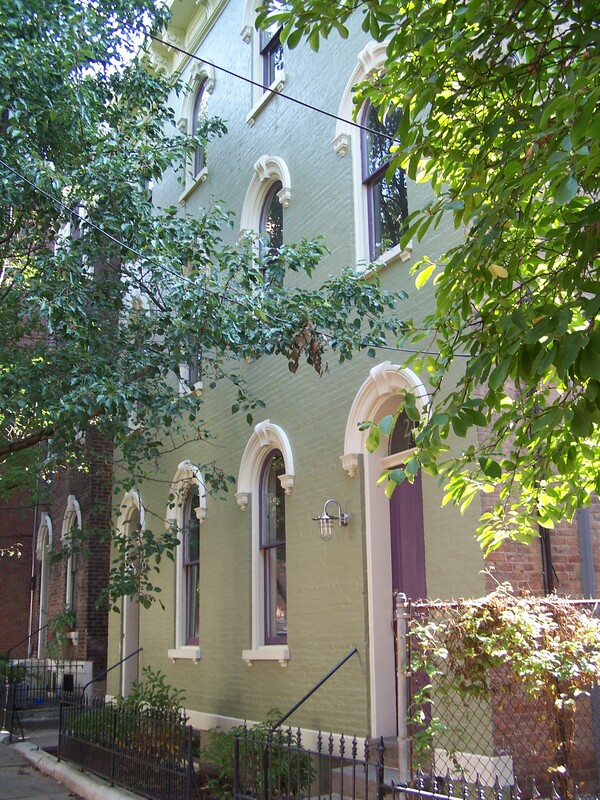 There is abundant room for smaller developers in OTR. 3CDC is concentrating in the core area south of Liberty from Main Street to Music Hall – a wise move to make a visible & lasting improvement. Their moves appear deliberate and methodical – one development follows the next in a contiguous march. Market rate condos and apartments coexist with existing adjacent lower income units. Within its epicenter, the Mercer Commons project will solidify OTR, bridging the vacant gap between Main & Vine. 3CDC’s stockpile is extensive, yet I haven’t figured out what small developer opportunities exist here. I’d like to know. 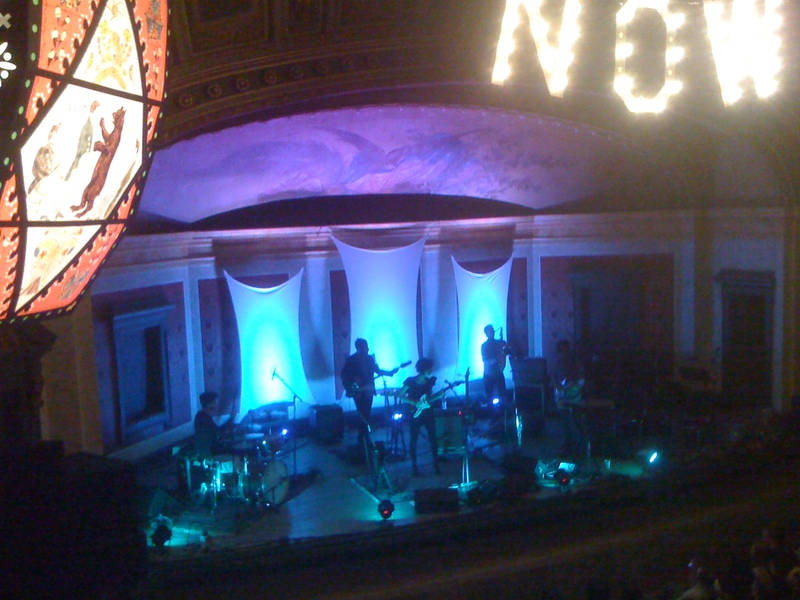 With their backing & track record, they have the muscle to transform the core part of Over-the-Rhine quickly. This is necessary for outlying areas to have a chance of revitalization. 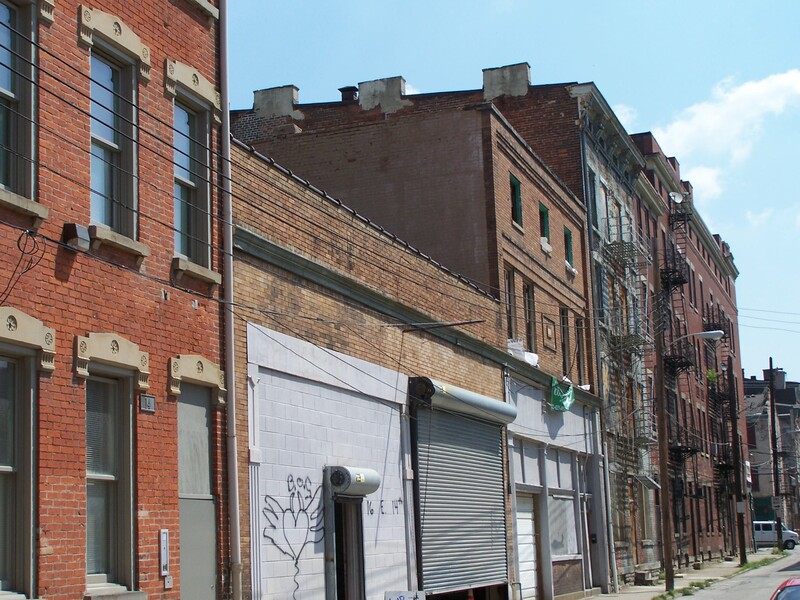 Areas north of Liberty Street are ideal for smaller developers – especially along Vine St, McMicken St., alongside its former breweries or anywhere near Findlay Market. I’m working with several individuals in this area transforming blighted buildings into their own place of living. With the recently approved Streetcar, this neighborhood is destined to flourish with Transit Oriented Development – the future for the evolving American city. Any building along the streetcar line is prime for redevelopment – part of a lasting/sustainable nation-wide trend. 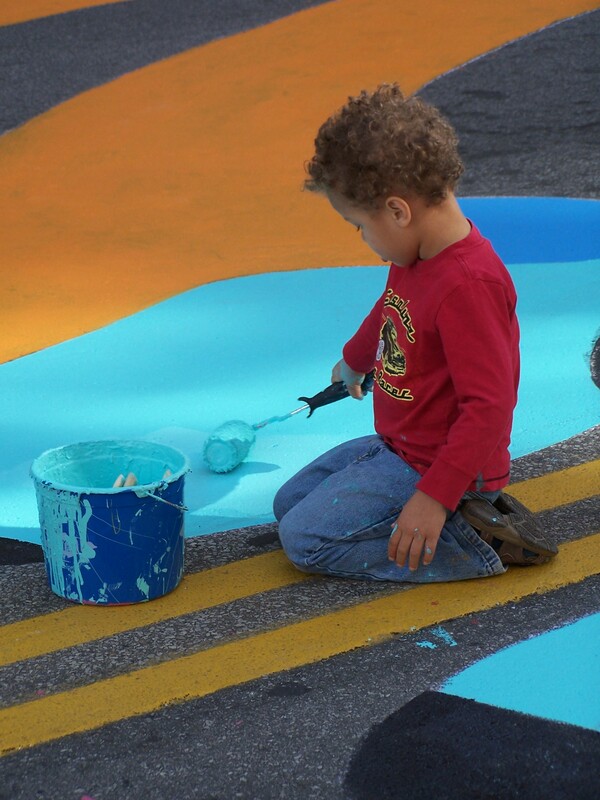 A great resource is OTR A.D.O.P.T., who has infused renewed spirit to some of our neighborhood’s seemingly less-desirable areas and more challenging structures. Like the Island of Misfit Toys, it finds wanting homes for dedicated souls. I hope this valuable clearinghouse continues & gains support. Another area prime for small developers is the Pendleton neighborhood. 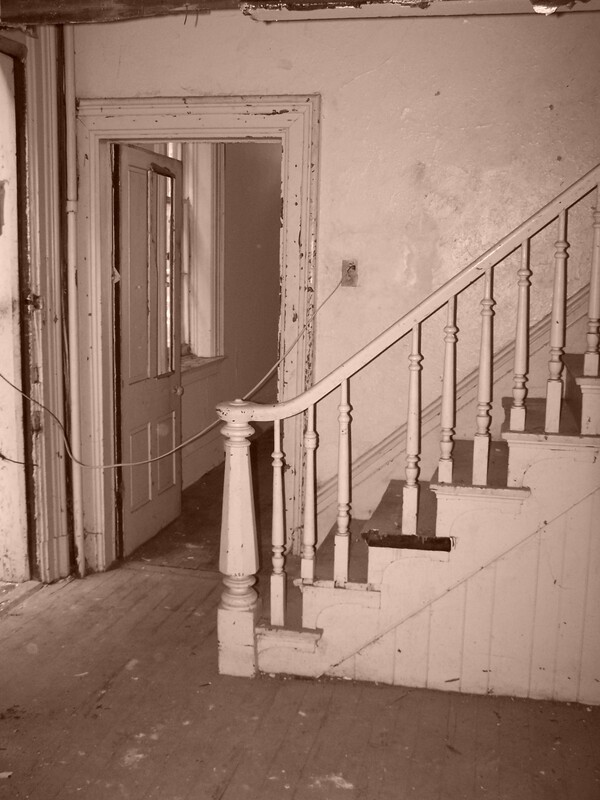 While it contains many of our finest urban residential homes, its central core is blighted. This will inevitably change as Stakeholders (both land owners & its strong resident support), the City and the Casino find the value in its overall stabilization. Its proximity, visibility & contained nature make redevelopment all the more compelling. As Bridging Broadways’ Chairperson of the Land Owners and Developers Committee, I’ve facilitated monthly roundtable meetings with Pendleton’s active developers, city officials & funding providers. The City of Cincinnati has earmarked funds for a thorough streetscape & public space (park) improvements for the Pendleton neighborhood. Interest is happening in Pendleton already. Realtors’ phones are busy. 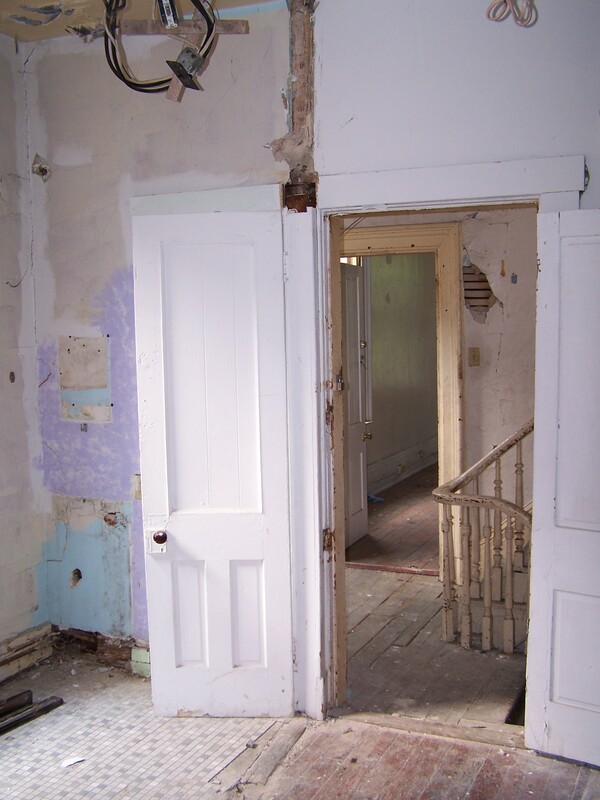 As an Architect, I’ve assisted numerous (60+) individual developers/rehabbers; each a small step toward revitalization in a neighborhood with an extremely strong sense of place. These include individual homes for one time restorers as well as multiple unit apartments or condominiums for larger developers such as Urban Sites. They vary from luxury dwellings to low cost artist’s live/work spaces & family units. I’ve helped small business’s open boutique shops, art galleries and cafes. 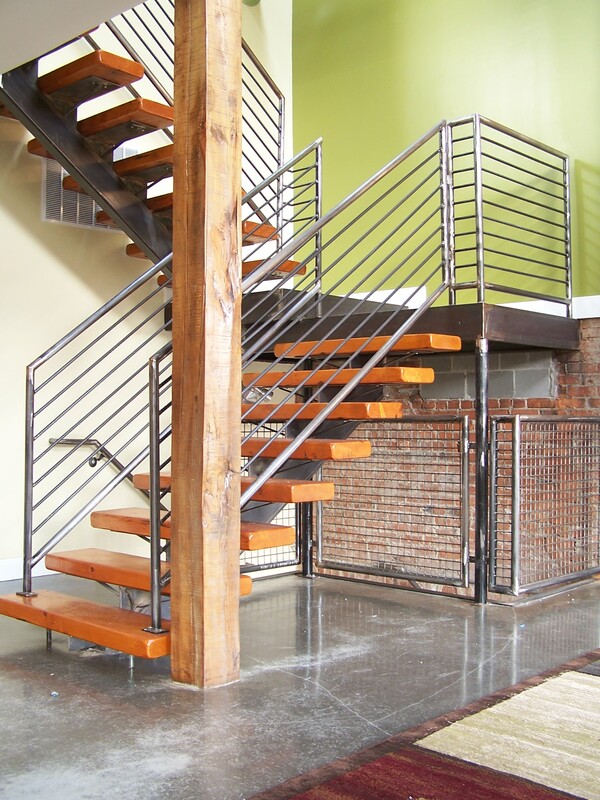 I love working with enterprising individuals in expanding OTR’s rich creative experience. 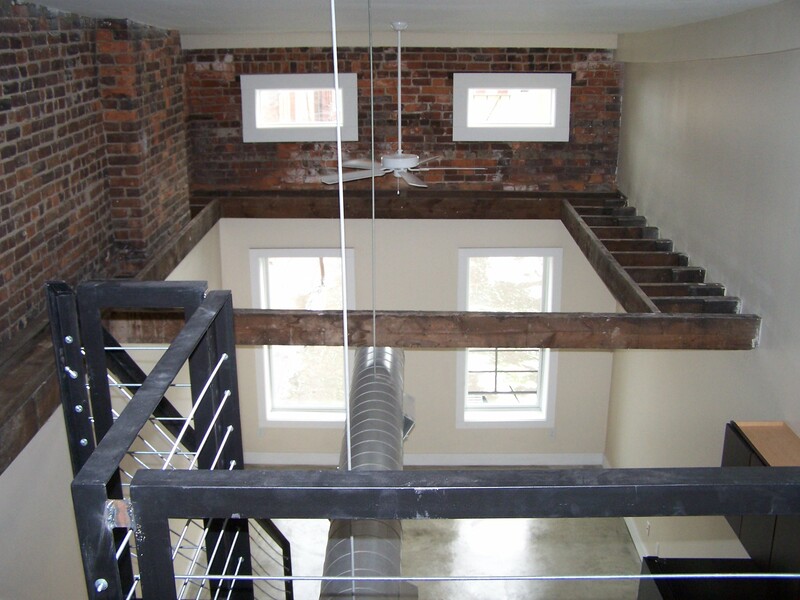 In the last 20 years, I’ve transformed buildings with caved-in floors, sunken foundations, burned out interiors, and missing roofs into well-thought, extremely livable spaces that contribute to an overall rich historic fabric and resultant dynamic spirit of place. I’ve explored every corner and nook within Over- the-Rhine. While measuring, I’ve stumbled across working prostitutes, hoarder/squatters and the life remnants (photos, dresses) of an old German woman. I’ve examined vaulted stone sub-basements of former breweries, abandoned burlesque theaters and intricately carved winding spiral staircases. I know how to work with the building & historic codes to create innovative sustainable solutions to OTR’s particular typologies, construction types and floor plans. I’ve been the developer of several buildings myself including three on Orchard Street. For my dedication, I was awarded “Architect of the Year” by the Over-the-Rhine Chamber of Commerce. I offer my skills as a resource to any developer, large or small. I also seek interested investors. Overall, the biggest roadblock for development is financing. In recent years, this has been the bane of all developers. The first stop should be the Cincinnati Development Fund. 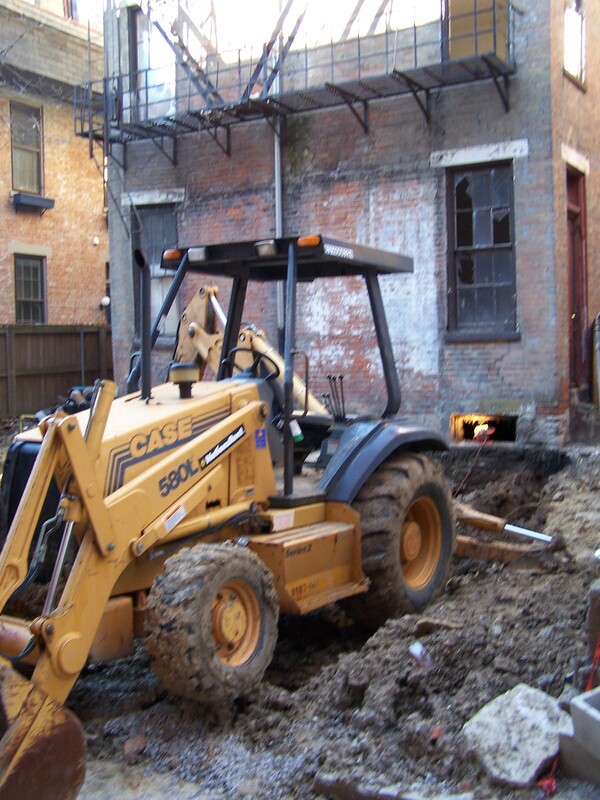 Open the funding pool, construction begins, people move in, our city flourishes. 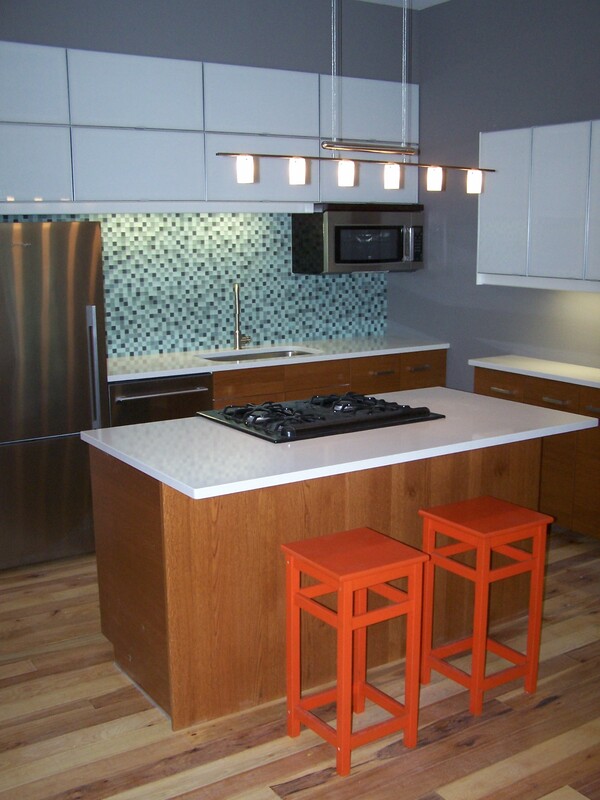 Moreover, a continued interest in city living must exist – a definite case in OTR. As people re-discover the richness of urban life & realize the mono-culture of their suburban existence, our Over-the-Rhine is being revitalized. The lack of available renovated rental units (currently at 0% availability) supports this. National trends also support this, increasingly so with each younger generation. Increased local jobs & entrepreneurial support will add to the interest & capability. An overall awareness of the cost of daily commuting (monetarily, environmentally & spiritually) along with inevitable fuel challenges adds to the favorability of OTR’s livability. 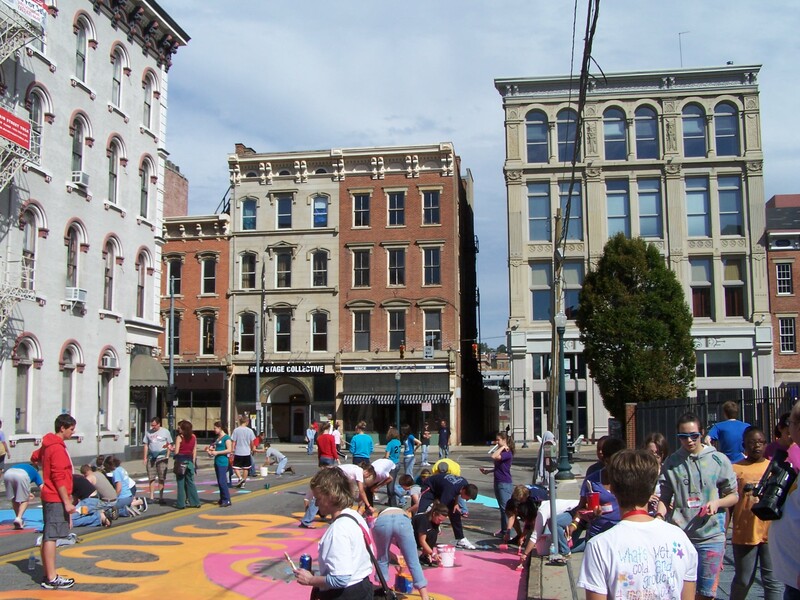 Over-the-Rhine is emerging as THE model sustainable urban neighborhood. 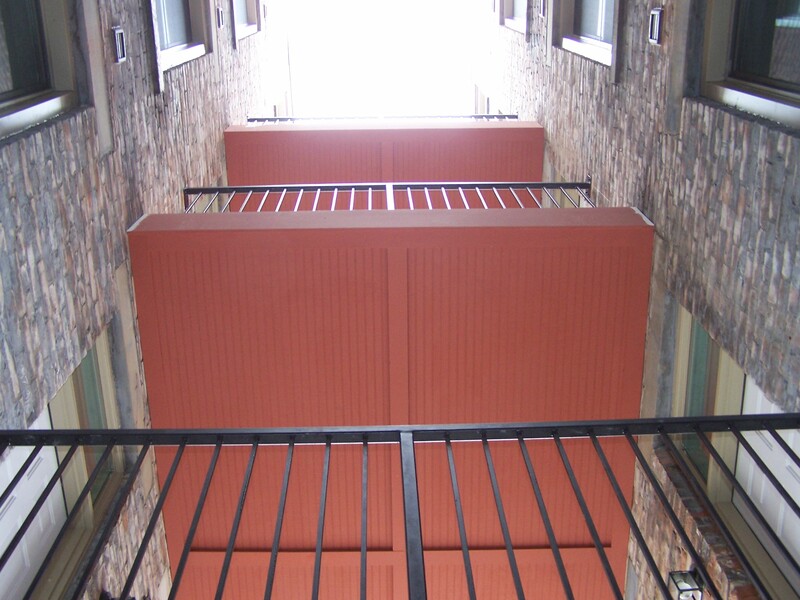 Its high walk-ability score, dense building fabric and mixed uses ensure proximity to resources and employment. With the Streetcar, downtown and uptown resources are all the more accessible. Midway, OTR will be ensured an influx of redevelopment, buildings renovated, infill created – especially at key stops en route. Once the general population recognizes our peak-oil fate, eyes will look toward Over-the-Rhine, eventually becoming the MOST desirable neighborhood in the region. 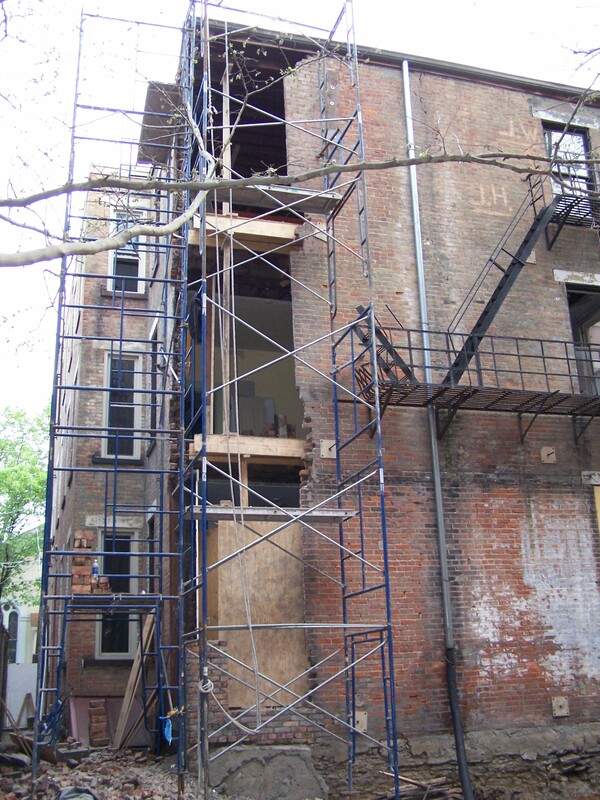 Renovating existing buildings in the urban core is the #1 most sustainable thing we can do. The fabric of Over-the-Rhine is comprised of a jumbled mix of building typologies, uses and sizes organized along an imperfect grid which adjusts itself to the surrounding hillsides. It will be a healthy mixed-income neighborhood where people walk, cycle or take the streetcar from home, to work, to shops and to meet-up with friends. OTR’s range of opportunities are as diverse as its population, however a concentrated effort should be raised to attract young people, artists, musicians and queer folk. 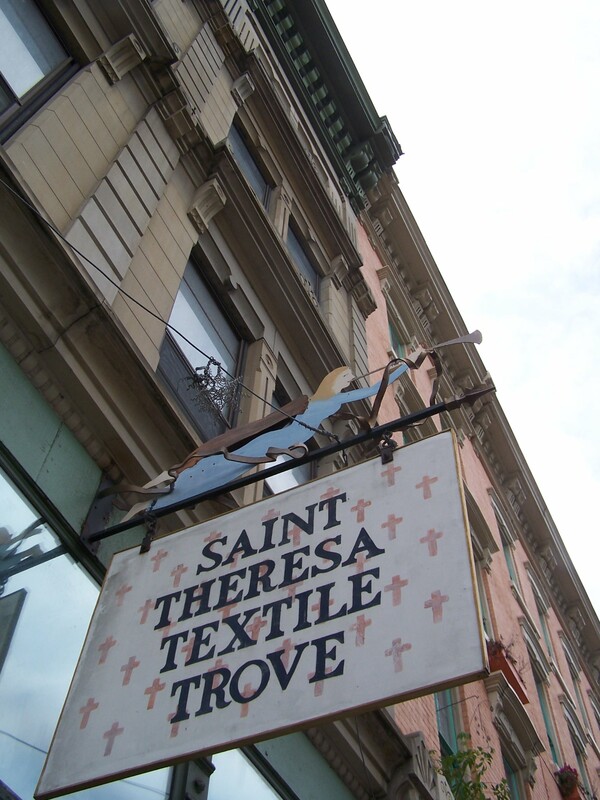 Much of OTR consists of multiple dwellings above a sidewalk level storefront space. Vine and Main Streets comprise continuous commercial corridors, as Findlay Market further expands as a regional (and every-day, local) destination. As population in OTR increases, these will once again flourish all the way to McMicken Street with clever shops, inventive café’s & scattered one-off pubs. 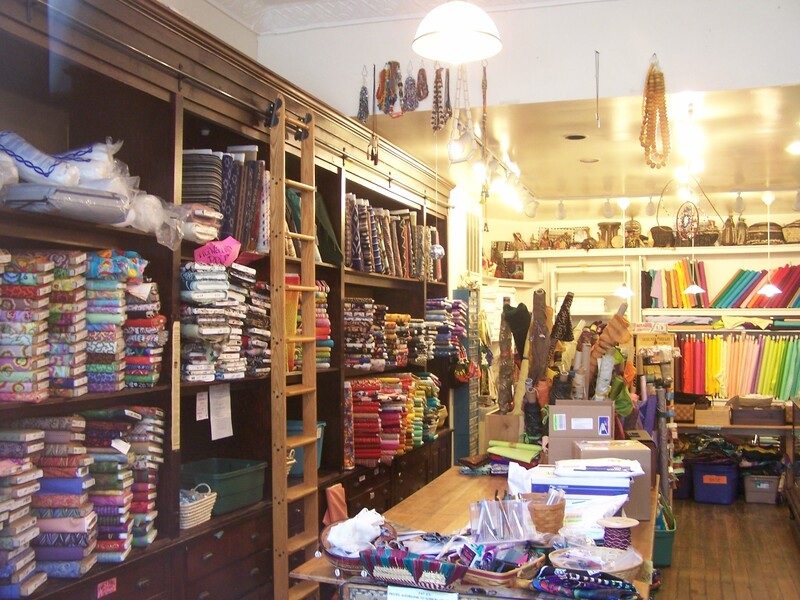 Throughout OTR random storefronts will be restored into artisan craft studios. OTR will be a creative Mecca, luring artists with inexpensive rents, incentives, energy and opportunity. 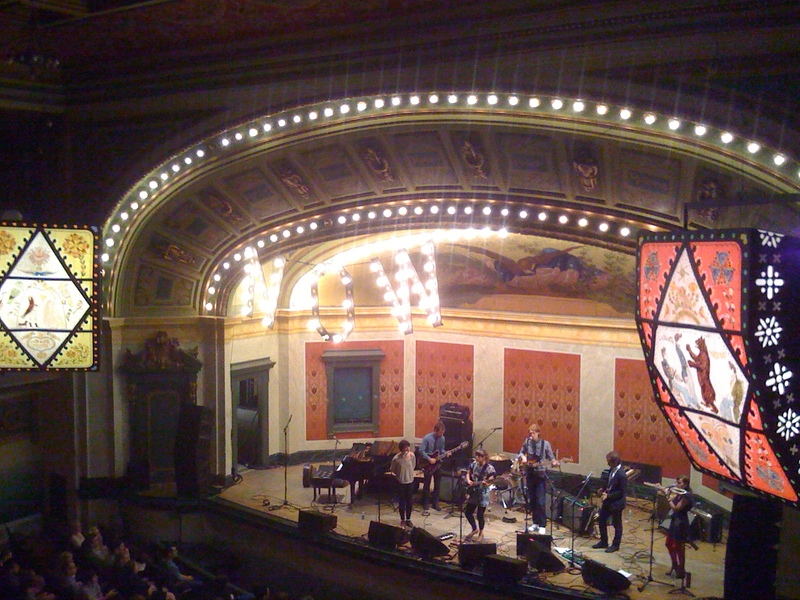 The cultural richness of Over-the-Rhine will resound internationally. A super-infused Music Hall & Emery Theater’s progressive programming is coupled with an already thriving theater, restaurant, bar and gallery scene. Now-empty Masonic lodges, churches, breweries and beer halls will foster future alternative art venues, performance spaces and yes, beer halls. From a newly renovated Washington Park all the way through Pendleton and the Casino the open spaces and sidewalks of OTR will foster a jovial social milieu. Outside folks will recognize our enriched existence and quality of life – a huge asterisk on the world’s cultural map. ← YPCC Happy Hour Choral Concert @ Below Zero Lounge! Yes!! So much of what you wrote on was reason to move to OTR last year. I love my space and am excited walking to work every day to see progress everywhere. Excellent summary, Mike. Great photos. Glad to provide you with the McEwans as neighbors. I’m forwarding your article to my family. Could not agree more! Beautifully conveyed, Mike! Wonderful post and pictures Mike. 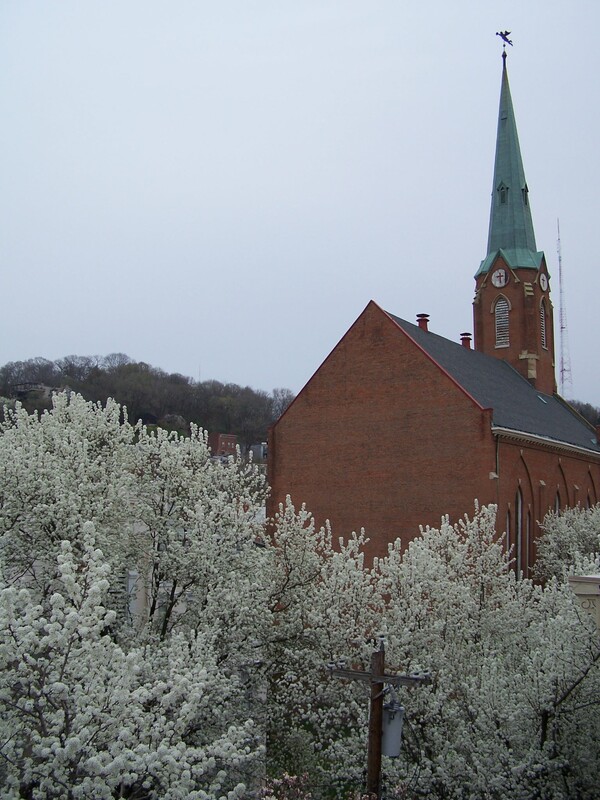 Will there be a Blossom Fest on Orchard this Spring? I like the comparison between Vine and Main, although I fear that the redevelopment on Vine, as it is driven primarily 3CDC and upscale retail, will be a lot less sustainable than the genuine resident led redevelopment of Main Street. Another tough issue is the displacement (albeit indirect) of many low income residents and of a certain criminal element (which I hasten to add are not the same thing). By focusing so much on OTR we run the risk of forgetting about other neighborhoods like Walnut Hills, Price Hill, and Mt. Auburn which boast their own architectural marvels and unique heritage while teetering on the edge of decline. it is probably in these neighborhoods that small developers can have the most impact by working with neighborhood development corporations and local residents to reclaim their sense of community and civic pride. I appreciate the bit about Main St. being already in decline before the riots. Too often the story is told of how the riots killed a thriving scene. Also check out Facebook “North of LIberty” for exchange of ideas on what’s happening there. Nice reminiscence Mike! I still remember going to a party or two at your house on Orchard Street when you first started the renovations. Don’t know if you remember me but we met when you had a tour of your building – you live in my grandmother’s house – I grew up on Orchard Street @ 223 where my Mom’s Aunt owned that house and my Dad grew up in your house. My Mom also grew up in the house @ 223. It is just wonderful to see the things that are going on not only on Orchard Street but the whole OTR neighborhood especially Vine Street since I remember going to Findley Mkt,, Court St. Mkt., Alms & Doepke and all the various shops that used to be Main Street. We also rode the sreet cars to go just about everyplace we needed to go. I also spent a lot of time around Liberty & Vine as I attended St. Francis School and I look forward to it becoming a vibrant neighborhood again. We did go down to the old neighborhood and did some shopping at Christmas Time and I am anxious to try out some of the new restaurants. Congratulations on the article, the picutres are beautiful and it was fun trying to identify some of them. 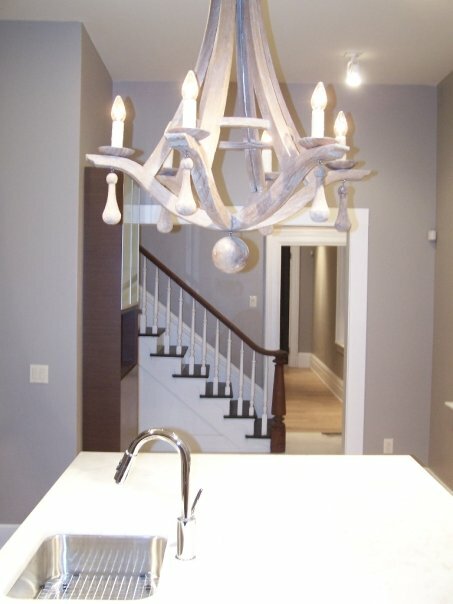 Keep up the good work – maybe you will have another house tour and we will meet again. Terrific article,Mike! It really gives one a sense of the evolution that is taking place. I loved the pictures esp the ones of you on the rooftop and overlooking OTR. Thank you all so much for the compliments. Writing this article has been a gift to us both. I am grateful for my experience.